Hello guys ! Hope you’re doing well !! Today I am really excited to share a recipe with you! It is a french classic, a recipe that is transmitted from generation to generation, let me present it to you . 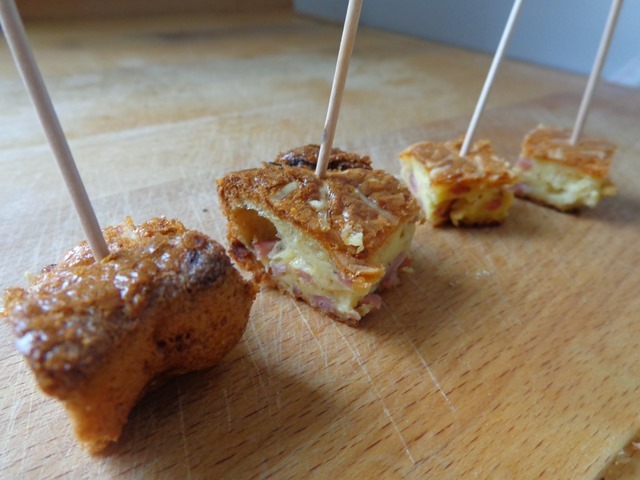 Today I am sharing my mother in laws recipe of the Quiche Lorraine !! Normally, Quiche Lorraine is not the healthiest option on the menu, it contains bacon strips, a lot of eggs and cheese and is cooked on a “pâte brisée” a crust made with half butter, half white wheat and water, this is a treat I would normally eat once a year… Because it is so filing. The version I want to share with you is crustless! Yet it will be fluffy and full of healthy bacon and eggs (only the good things). And, don’t get me wrong, I did not omit the best part, the cheese (but you could omit if you want to :)). Let me tell you the story of this quiche. I am dating a picky eater, since 5 years now ( and yes I survived and he now eats a lot more different dishes than before trust me). Anyway, the quiche is my boyfriend’s favorite dish. 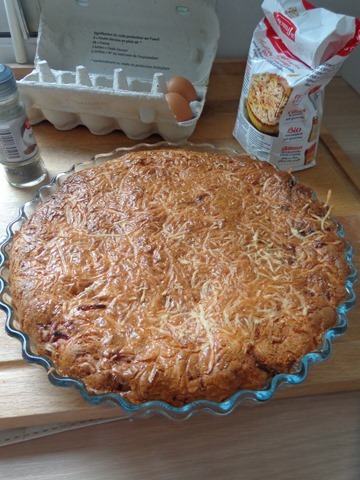 So when I started dating him, it became pretty obvious that I needed to know how to make this quiche in order for him to be feeded correctly on a daily basis ;). 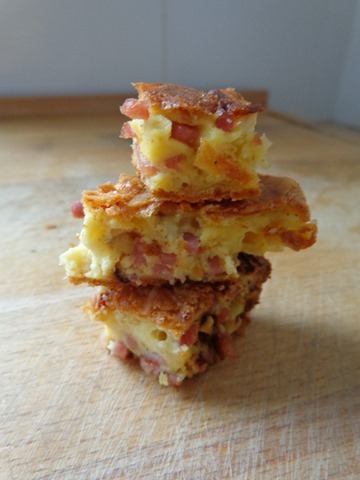 On a trip to his parents, his mum told me the secret yet very very simple recipe of the familys Quiche Lorraine. And believe me, everyone loves it. His mum often serves it at potluck parties, or as an appetizer. We like to serve it at “apéros” which is the time of the day were you sip a glass of wine along with great finger food (olives, saucisson, crostinis…). So now I will give you the recipe, be sure to try it out. It is so simple to make and has only five ingredients!!! Here comes the recipe, enjoy! Serve warm with a salad on the side, or cut in squares and serve it as an appetizer, enjoy!